Dubai is planning to launch a real estate performance index that will allow global investors to track and benchmark performance, according to the Dubai Land Department (DLD) chief. “While we have certainly made good progress over the past two years, we recognise that further initiatives are required if Dubai is to achieve its goal of delivering a more transparent market,” Director-General Sultan Buti Bin Mejren wrote in JLL’s Global Real Estate Transparency Index, 2016. “The most significant of these lie in the area of performance measurement, where the current lack of a real estate performance index is a major constraint for institutional investors seeking to benchmark the performance of their assets,” Director-General Sultan Buti Bin Mejren wrote in JLL’s Global Real Estate Transparency Index (GRETI), 2016. “The DLD is actively looking to create such an index. We are confident that such an index will be in place by the time of JLL’s 2018 survey, supporting a further improvement in Dubai’s transparency,” he added. The index will possibly be created in association with a specialist index provider. 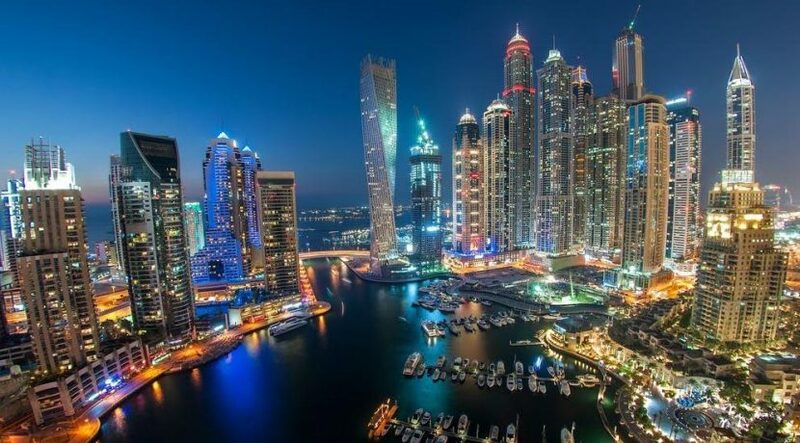 Dubai retained its place as the most transparent real estate market in the Middle East and North Africa region according to the consultancy’s GRETI survey, recording a 10 per cent improvement in its score over the past two years. The emirate recorded an improvement in 15 of the 28 areas covered in the global transparency survey, and saw the greatest advancement in the area of market data, where the DLD can have the most direct impact on transparency. As a result, Dubai has moved closer to the top of the ‘Semi-Transparent’ category, where it sits on a par with Tier 1 cities in the BRIC countries (Brazil, Russia, India and China) and all four of the fast-growing MIST economies (Mexico, Indonesia, South Korea and Turkey). The Dubai government has recognised the importance of improving transparency in achieving its objective of increasing the level of inward investment into the emirate’s real estate market. Citing an example of this, Bin Mejren said the new Dubai Data Law (Law 26 of 2015) seeks to promote the sharing of data both between government agencies and with the private sector. “More open sharing of data is seen as a key component in the implementation of Dubai’s smart city strategy,” he stated. The portal was launched by the Real Estate Investment Management and Promotion Centre, the investment arm of DLD, to attract major investors for off-plan available projects. It carries an integrated set of applications on best practices and gives investors and businesses access to many investment opportunities through their smart devices, easing the decision-making process and allowing online transactions through the secure government portal. This service increases the transparency of the rental market by providing data to both tenants and landlords. The rental calculator is based on data from all leases registered in the DLD’s Ejari system, plus field surveys and analysis of units available through billboards, newspapers and websites, as well as periodic meetings with real estate companies. The rental index applies to both commercial and residential units and is currently updated on an annual basis. Real Estate Regulatory Agency (Rera), the regulatory arm of the DLD, is applying a new system of categories: ‘Gold’, ‘Silver’, ‘Bronze’ and ‘General’. The new system encourages competition between brokerage firms and promotes more efficient and transparent services in the real estate sector. In October 2014, Rera launched a service charge and maintenance index for freehold areas. The index provides details of 300 projects in 22 master developments and gives a break-up of the charges approved.